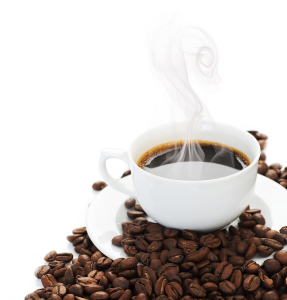 What are the Effects of Caffeine in Aging Adults? ← What Should You Ask Yourself Before You Take on the Task of Being a Caregiver? Elder Care Millington TN – What are the Effects of Caffeine in Aging Adults? Caffeine may be a key part of your morning routine, and many people claim they couldn’t even start their day properly without that jolt. For elderly adults that have been partaking of caffeine-laden beverages like coffee, tea or soda for their entire adult life, it has probably never dawned on them as to whether they are consuming too much now that they are in their golden years. However, studies show that caffeine can have serious negative impacts on the health of elders. If you are wondering about whether your aging relative is taking in too much caffeine, it’s time to review what the latest medical research shows about the effects of the drug in aging adults. After learning about the risks to elders associated with caffeine consumption, family caregivers can decide whether they need to limit it for their relative. Some drugs trigger the production of urine and pull fluids from the body. Caffeine is one of these diuretic drugs, and when consumed in excess, it can promote dehydration in elderly adults. Many seniors don’t drink enough fluids anyhow, so they are at a higher risk of dehydration anyhow. Family caregivers and elder care aides need to monitor intake and make sure seniors are drinking plenty of water, too. Caffeine affects the nervous system, and in moderate doses, it can lead to more energy, better focus and sharer cognitive ability. However, too much caffeine may cause jitters, rapid heartbeat, headaches, and muscle tremors. Since many of these symptoms are similar to their age-related conditions, family caregivers should observe their loved ones carefully as part of their elder care duties. Caffeine, especially when ingested as coffee, can negatively affect elderly adults that suffer with certain gastrointestinal issues. Common examples include gastritis, stomach ulcers, acid reflux, irritable bowel syndrome and colitis. Caffeine can make the symptoms of these illnesses and conditions much worse. The same caffeine-related effects that help boost energy in the body can also throw a person’s blood glucose off. For elders that struggle with diabetes management and who are focused on blood sugar levels, caffeine can be a problem. The drug raises blood glucose levels, making it harder to keep them steady. Seniors already have a difficult time absorbing vitamins and nutrients as they age. Too much caffeine can make it even harder for their bodies to absorb key minerals such as calcium, zinc, iron and magnesium. Calcium is especially critical for strong bones in elderly adults. Ultimately, elderly adults and their family members should consult with a doctor about their caffeine intake and how that relates to their health. If restrictions to caffeine drinks are needed, family caregivers and elder care assistants can work together to still allow elderly adults to enjoy their favorite beverage, but without the harmful effects of caffeine on the body. This entry was posted in Elder Care Millington TN, Healthy Eating for Seniors and tagged Elder Care Millington TN. Bookmark the permalink.